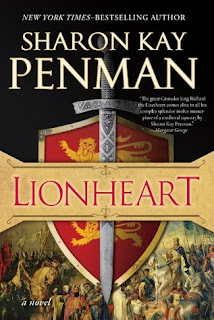 The fourth book in the Plantagenets Series by one of my very favorite authors, Sharon Kay Penman. This book had a somewhat different feel to it than the others in this series. Maybe because it was very male dominated or maybe just because I really missed Eleanor (I think she is in her 60's during the very brief time she appears and I am going to be very sad when she passes). Focusing mainly on King Richard over the span of a couple years, it was also very interesting to learn more about Henri of Champagne, though I couldn't get my head how they are related - that was one of my favorite scenes, my head was also spinning trying to figure that one out (if you read the book you will know what I mean, lol). One of the things I really enjoy about historical fiction is not just a wonderful story but learning history at the same time. 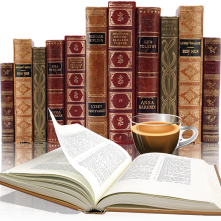 I have stopped heading over to Wikipedia while in the mist of a book (too many spoilers can ruin a good book) and do that after I finish. I know (knew) absolutely nothing about the Crusades. This was a very well written and informative book and it's no wonder King Richard was away for so long. It was interesting to read about Richard's character and after awhile I was beginning to wonder if he was really like the way the author portrayed him to be. The author's notes were wonderful and yea I guess he was as portrayed. Joanna was a favorite and reminded me so much of her mother. The final book in the series, The King's Ransom will continue where this one left off and we can find out how Richard takes care of the mess England is in at the hands of his little brother, John.